There's how many calories in that?!? Take feeding “warm oatmeal” before bed time as the perfect example. While this may be a great TREAT for your pet relying on this as a bed time routine can lead to a lot of problems. Oatmeal is a very starchy food which turns to sugar. Eating this right before bed leads to the starch turning into sugar while sleeping and extra added calories, not to mention the dependency that your pig has developed for the nightly routine. It is very important to monitor your pigs feed and again MODERATION is key on everything. Check out our nutrition section on the website to see healthy foods suggested for your pig(s) by clicking this link. And if you're unsure whether or not your pig is a healthy size, please check out this link to additional resources about healthy versus unhealthy pigs. The amount of calories should balance out with activity levels, excess calories will turn into excess weight. If you have a super active pig, your pigs caloric needs will be greater than a pig who doesn't walk around during the day or lays around sunbathing instead of rooting and playing. If you are noticing excess weight gain, it could be as simple as cutting back portions to get this under control. Nuts and seeds are rich in energy and nutrients. Nuts nutrition loaded with excellent source of monounsaturated-fatty acids (MUF) such as oleic and palmitoleic acids, which help to lower LDL or "bad cholesterol" and increase HDL or "good cholesterol." Research studies suggest that a diet that is rich in nuts can prevent coronary artery disease, strokes by favoring healthy blood lipid profile. ~They are rich source of all important omega-3 essential fatty acids like Linoleic acid, a-Linolenic acid (ALA), Eicosapentaenoic acid, Docosahexonic acid, etc. Research studies have suggested that fats by their virtue of anti-inflammatory action help to lower the risk of blood pressure, coronary artery disease, strokes and breast, colon and prostate cancers. Omega-3 fatty acids also offer some benefits in conditions such as rheumatoid arthritis and in cases of Schizophrenia, depression and Alzheimer’s disease. ~Nuts and seeds are the storehouse of health benefiting poly-phenolic flavonoid antioxidants such as carotenes, resveratrol, lutein, cryptoxanthin, etc. These compounds have been found to offer protection against cancers, heart disease, degenerative nerve disease, and viral/fungal infections. Studies suggests that resveratrol in peanuts reduces stroke risk by alterating molecular mechanisms in the blood vessels, reducing their susceptibility to vascular damage through decreased activity of angiotensin (a systemic hormone causing blood vessel constriction that would elevate blood pressure) and increased production of the vasodilator hormone, nitric oxide. ~Nuts nutrition is complete in the sense that in addition to calories, and vitamins, they are rich source of minerals like manganese, potassium, calcium, iron, magnesium, zinc, fluoride and selenium. Manganese is a co-factor for the enzyme superoxide dismutase, which is a very powerful free radical scavenger. Potassium is an important component of cell and body fluids that helps controlling heart rate and blood pressure. Copper is required for the production of red blood cells. Iron is required for red blood cell formation. Fluoride is a component of bones and teeth and plays important role in prevention of dental caries. ~They contain very good levels of vitamin-E, a powerful lipid soluble antioxidant. Vitamin E is required for maintaining the integrity of cell membrane of mucus membranes and skin; thus, protecting it from harmful oxygen-free radicals. ~Nuts nutrition provides many vital B-complex groups of vitamins such as riboflavin, niacin, thiamin, pantothenic acid, vitamin B-6, and folates. These vitamins are essential for optimum health and well-being. Empty calories are found in solid fats and added sugars. These are components of foods that add calories but have minimal, or non-existent nutritional value. In other words, they do absolutely nothing for you in terms of goodness or nutritional value. If you think about it from a health perspective, if consuming calories is unavoidable, then it makes sense to make a conscious effort to go for those which provide you with nutrients, than those that don't right? The problem is that most people do not take this into consideration, and the result is that the average person's pig consumes far too many empty calories than they should. How do I measure food in % of weight? I use a volume measurement like cups? How do I determine the amount of calories my pig burns? I think we can agree that most pigs are not equipped to do a total cardio workout. So, although the rooting likely burns significant calories, I can't find a scientific measurement to prove how many calories are actually burned. 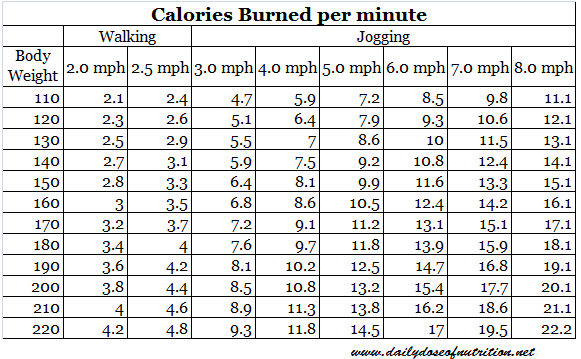 Here is a small chart to give you a general idea of how many calories are burned in people when doing the following exercises. Most pigs don't run for long periods of time, so at best, walking would likely be an accurate calorie burning exercise for them. As you can see, in a human chart, a slow walk doesn't burn many calories, so determining the caloric needs of your pig will be very individualized and will probably need frequent adjustment based on season or time spent outside or even age and current weight of your pig. Younger pigs are historically more active than older pigs, lighter pigs are typically more active than heavier pigs. Adjusting their diet to meet their needs can help your pig lose excess weight or even help that arthritic joint pain in severe obesity that has led to arthritis or reducing enough weight so a pig's legs can physically hold the body up and be able to walk around. You will never see a more beautiful moment than one where morbidly obese pig is finally able to get up and walk because someone cared enough to adjust the feed to accomplish this. Any positive changes will ultimately benefit your pig. You can't starve a pig to keep it small, but you can provide a balanced diet to help your pig live a healthy life.